We are instrumental in manufacturing and supplying Two Stage Dry Vacuum Pump to our revered clients. This pump is highly regarded by our clients for being durable, robust in terms of housing and available at industry leading prices as well. This pump is user-friendly and is used in various industries including food processing, pharmaceutical, chemicals and engineering. These piston type vacuum pumps achieve vacuum up to 29.0”Hg (737 mm) for single stage and up to 29.6”Hg (752mm) for two stage configuration. 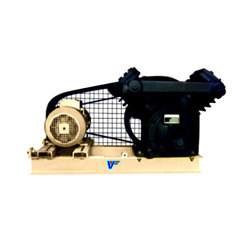 We are among the trusted names in the industry for manufacturing and supplying Single Stage Dry Vacuum Pump. 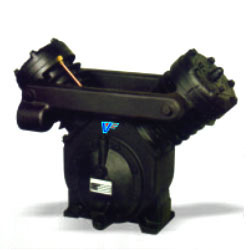 The offered vacuum pump is exceptional in terms of performance and has earned us loads of appreciation. It is durable, cost-effective and easy to operate. Being resistant to abrasion, corrosion and wear & tear, it is extensively demanded in engineering and food processing industries.